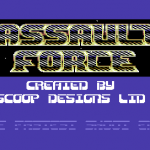 Found on a bundle of disks ported from Cory Kin’s collection, we found what seems to have been a title to a game in development by Scoop Designs for Firebird Software back in 1987 and was downloaded from Compunet it seems. 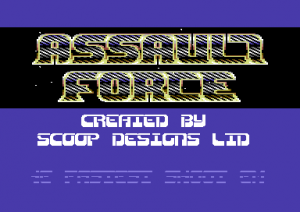 We are unsure exactly what the game itself was shaping up like, but the scroller describes it as one of the fastest space shooters ever seen. The music seems to be place holder music by Rob Hubbard, but its possible he may have been doing proper tunes for it. There was no trace of the game to be found anywhere else, so do you know any more about it? Check out the title demo for now!